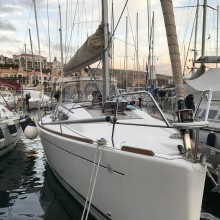 "My partner and I had been planning a retirement sail to relocate our Legend 36 to the Mediterranean but were keen to have some more experience aboard for trickier sections. Crewbay was recommended to us and has worked out brilliantly. We have had 3 great guys aboard so far and have further joiners as we progress southward. " 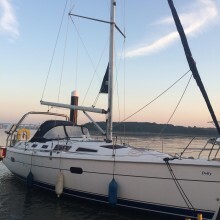 "Fantastic site - perfect for finding crew. Communication with applicants and viewing they profiles is so easy . Plus Ollie ( the moderator) is always very helpful. Well done! Keep up the great work!!! Thank you!!!" 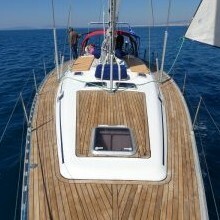 "I would recommend this site to anyone interested in finding good quality crew. I've used many other sites on the internet, but none have Crewbays consistency. Because it's free to communicate, there's no limit on getting to know someone. Well done guys. You need a rate button to go with this text though ;) 10 out 10 "
"Crewbay has provided us with the oportunity of a lifetime - Sailing around 6 of the Eastern Caribbean islands with an amazing couple from Australia. They recover boats after hurricanes and create them into beautiful ocean-nomadic homes. We cannot wait to sail with Crewbay again! " "I have supported Crewbay as a skipper for sometime now. The choice of crew is phenomenal, when you read between the lines of the different members' sailing background. The jewel in the crown for a skipper is when an owner makes contact and actually says they have read your resume! Even more so when they select you because of age and the experience that goes with it. Thank you to the owners who know who they are! The format of the new Crewbay website is achieving its aim to provide the best for both crew and owners." "I had friends for part of my sailing journey but just need one more crew member. Crewbay was the perfect site for finding that reliable, experienced and compatible person. After completing one leg of the passage my new crew member has proved himself to be invaluable and also a good friend. Crewbays website was perfect for my requirements and always helpful." 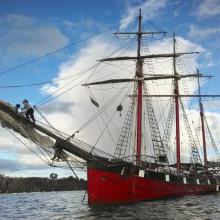 "Crewbay is our go-to site for finding high caliber crew for our tall ships. It's a great website, an excellent resource, and the webmaster (Ollie) is always there to help with inquiries. Crewbay helps create life-changing opportunities for people with a yearning for the sea Thank you!" "Crewbay has been such a valuable resource for us in finding people to help us with long sailing passages. Beyond finding good crew we've found life long friendships from our shared experiences at sea. Crewbay is a beneficial tool not only to boat owners looking for all levels of on-board help, but to young professionals, travelers, and dreamers - helping them to find an alternative pathway in exploring the world. 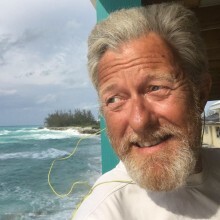 I am impressed with the new site upgrades and grateful to continue to have free access for those of us on a less professional sailing journey. Thanks Crewbay!" "Crewbay has provided some great crew and a good variety of young and old. I understand the workload in managing a site so busy and appreciate that there's such a fantstic free membership. Thank you for your direct support, all much appreciated." "I'm amazed at the amount of crew available. The check-in system seems to work well. I like that I know those people that have checked in are 'active' rather than just checking their messages. That's reactive in my book and it's lovely to be on the receiving end (as a boat owner). I just have a lot of messages to respond to! Hardly a down side :) Well done. Great site"
"Crewbay has always helped me find both unpaid crew for cruising company, but also has helped sought high caliber paid crew to assist with ocean crossing. Guys, keep the good work up!" "Thanks very much. I have used Crewbay on many trips with great success. 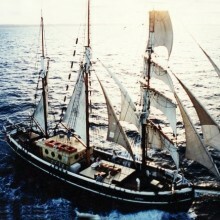 Includes current crew from Australia, Austria, and France. You make their hitchhiking possible. " 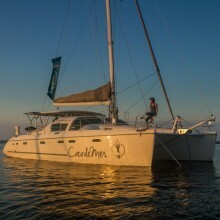 "When I started sailing my boat Alvei, about half the crew came from returning crew or friends of friends. We put up notices at local marinas to fill in the watch list. After we discovered Crewbay it has turned out about 70% of our new crew come from Crewbay. 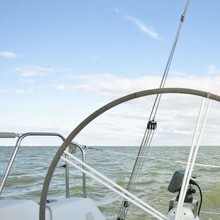 Crewbay people are more focused on learning sailing. Their interest will last 2 to 6 months. On the whole, Crewbay crew do a better job and stay longer. Life is better with Crewbay! "